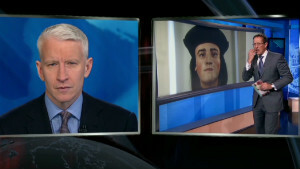 (CNN) -- Richard III is getting people talking all over again. 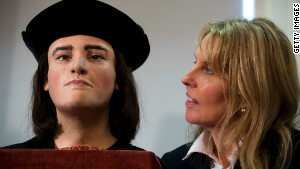 DNA tests confirm that skeletal remains found buried in a parking lot belong to England's most famous king, British scientists announced on Monday. Some CNN commenters did a bit of a double take. don4060: "From the picture, I thought it was Keith Richards." John: "Nah, looks too lively and fresh." Jerry: "HAAAAAAAAA!!!!!!! The Strolling Bones ..."
But Richard III's suspicious rise to power and ultimate downfall are literally the stuff of Shakespearean legend. The news sent readers scrambling back to their history books, or perhaps Wikipedia. Social media users rushed to talk about it. Who would have guessed 500 years later a former king buried in a dirt hole would have a chance at redemption?